Gym flooring will have a huge impact on the look and feel of your gym. Choosing the correct gym flooring can help to reduce injuries, prevent damage to gym equipment and reduce noise. 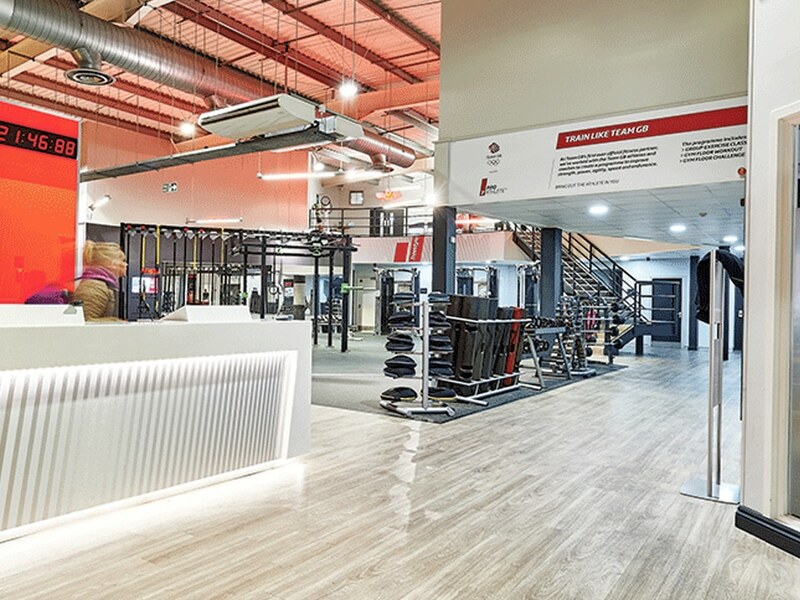 Stebro Flooring is a family business with over 50 years experience – we have the experience to help you find the perfect flooring for your gym or fitness studio. Specialist gym flooring contractors. Looking for advice or a quotation? Flooring for gym workout areas needs to be hardwearing, shock absorbent and easy to clean. 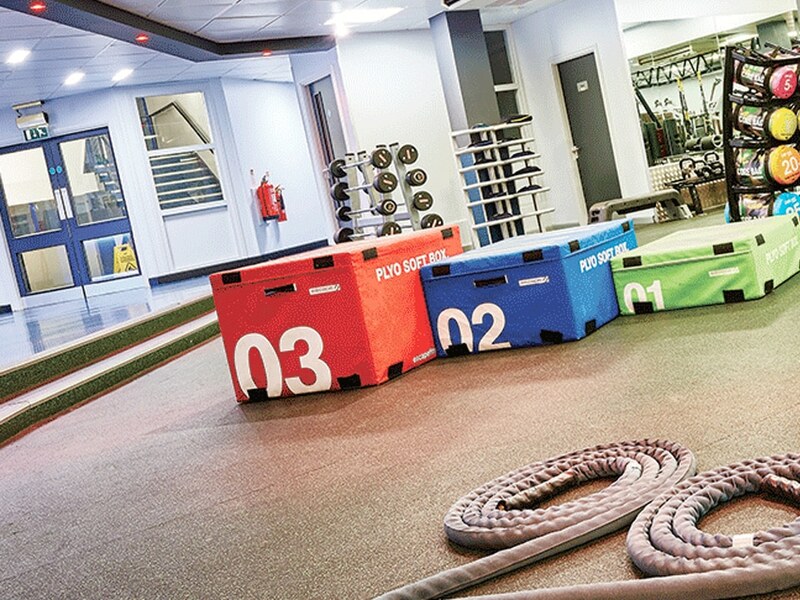 Choose from our extensive range of high quality rubber gym flooring, heavy duty safety flooring and commercial vinyl tiles to ensure your gym floor provides a safe workout surface. Our gym and fitness clients include DW Fitness, Marshall Gym, Holly Lodge Fitness Centre, Walsall Wood ABA Boxing Club and Fox Hollies Leisure Centre. 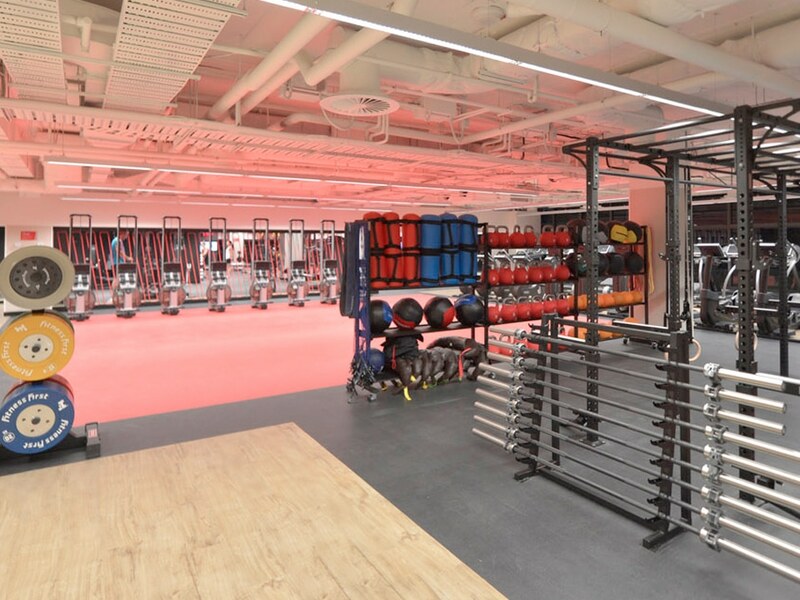 Our rubber gym flooring is manufactured from heavy duty rubber to ensure it is incredibly durable and hardwearing. Rubber flooring will provide a natural slip resistant surface to ensure the workout areas in your gym are safe. We recommend you choose a rubber floor covering in weight lifting areas to absorb heavy impacts and reduce noise in your gym. Need a gym floor that’s hardwearing and fully HSE compliant? Our range of heavy duty safety flooring will create a gym floor that’s slip resistant, durable and easy to clean. Choose a safety floor with a bacteriostatic and fungistatic treatment for a hygienic gym floor that inhibits the growth of bacteria. 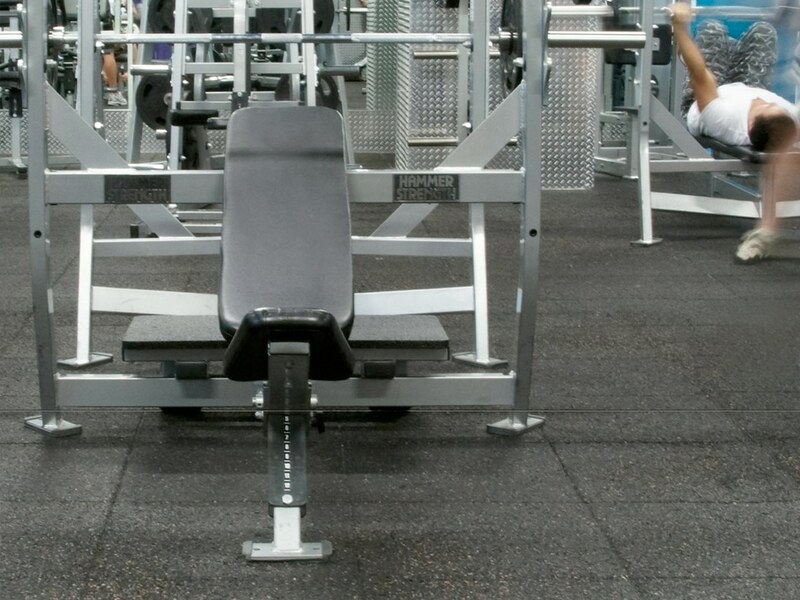 Commercial safety flooring is suitable for gym workout areas, changing rooms and toilets. Commercial vinyl tiles are highly versatile and will create an attractive and hardwearing floor for your gym. Vinyl tiles are one of the most durable flooring options available due to the robust protective layer that’s added to the tile surface. Choose one of our approved vinyl tiles and you’ll enjoy a 10 year wear layer guarantee for your gym floor. Vinyl flooring is resistant to dirt and stains making it very low maintenance. It’s the perfect flooring choice for your gym workout areas, reception areas and changing rooms. Cleaning is quick and simple with regular cleaning products. 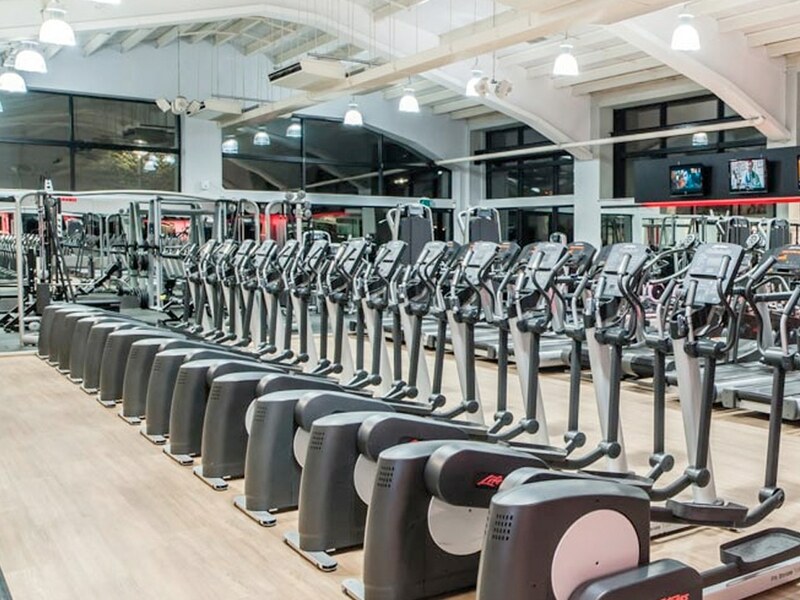 We have extensive experience as commercial flooring contractors supplying and installing flooring for gyms across the UK. Contact us today for expert advice, to request samples and for a no obligation quote for your gym floor.